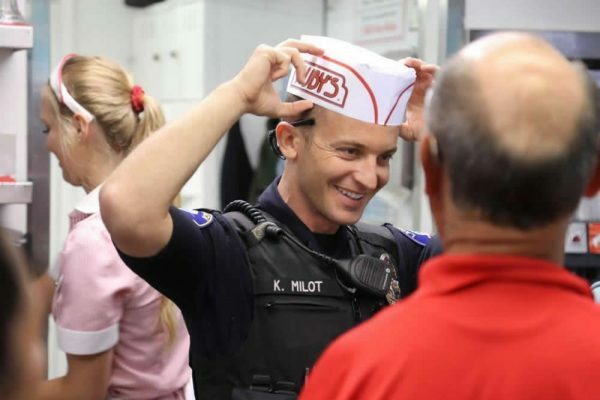 Officer Kyle Milot gets ready to participate in Saturday’s Tip-a-Cop event at Ruby’s Diner in Laguna Beach. Photo courtesy of Laguna Beach Police Department. Laguna Beach Police Department employees worked along Ruby’s Diner staff on Saturday, July 28, to raise funds for the Special Olympics Orange County Region at the annual Tip-a-Cop event. Sgt. Jim Cota reported that the event raised $23,787 this year, with 100 percent of the proceeds donated to the Special Olympics. LBPD’s event raised the most money of any Tip-a-Cop event statewide, Cota said. Those who were unable to attend the event can still make a donation by visiting fundraising.sosc.org. Paul Burnett and his wife Claudine, co-authors of “Surfing Newport Beach: The Glory Days of Corona del Mar discuss their book Tuesday, Aug 7. 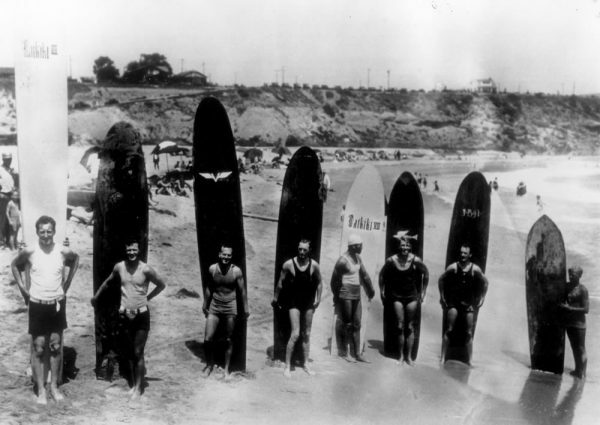 Paul Burnett and his wife Claudine, co-authors of “Surfing Newport Beach: The Glory Days of Corona del Mar,” will discuss the history and highlights of the first Pacific Coast Surf Board Championships on Tuesday, Aug. 7, at 7 p.m. at Sherman Library & Gardens, 2647 E. Coast Highway. The Red Cross is conducting an on-going blood drive through the summer. Donations will be accepted on Aug. 12 from 8 a.m. – 2 p.m., St Edward the Confessor Catholic Church, 33926 Calle La Primavera, Dana Point and at Laguna Hills Blood Donation Center, 22971 Mill Creek Dr. through Aug. 15 Call 1-800-RED CROSS (733-2767) to make an appointment or find other donation centers. Eligible donors will receive a $5 Amazon.com gift card via email. Alta Laguna Field at top of the World will be closed for annual maintenance and turf renovations from July 30-Aug. 24. For more information call Alexis Braun at 949-497-0762.